sensors or a reverse mechanism. You can add these as you like. 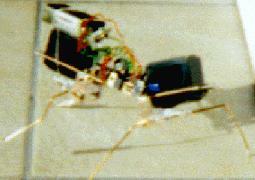 The robot was build that is is possible to walk on 4 legs with only two motors and a minimum part count. Time to build approx. 4 Hours.